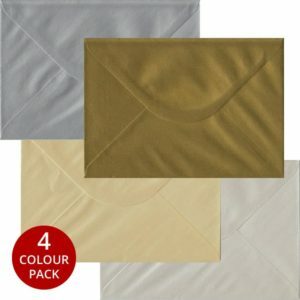 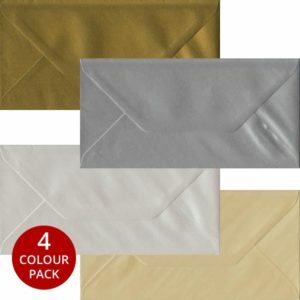 Our Metallic Pack contains four of our most stunning colours. 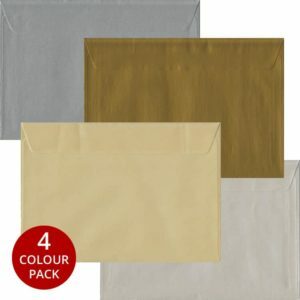 With Metallic Gold, Metallic Silver, Oyster White Pearlescent and Champagne Pearlescent our Metallic Pack has something for everyone. 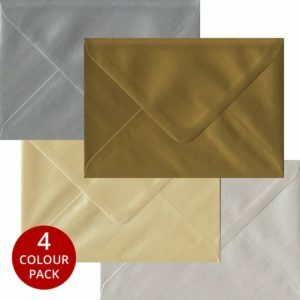 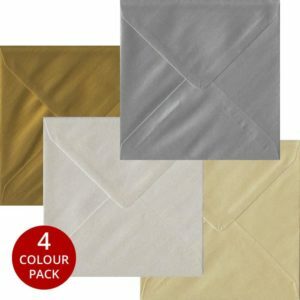 Available in all our most popular sizes our Metallic Pack is perfect for Wedding Stationery, Christenings, Christmas, Birthdays and Parties.